The Middleton Parish Church of St Leonard’s has carvings from the Norman period but is predominantly 1412 and was extended in 1524 and 1958. 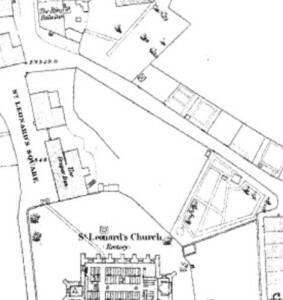 The square begins at the church gate and was extended to the East at the end of the 19th Century, following the demolition of Church House Farm and outbuildings. The 1841 census list a publican, sexton and shopman occupying the square. In 1861 a carter, provision dealer, farmer and grocer. By 1871, 2 silk weavers, a dyer, railway clerk and Burial Board registrar have joined the farmer. 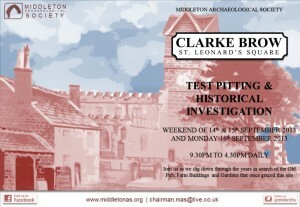 Middleton Archaeological Society have been investigating Clarke Brow, a public field next to St Leonard’s Square. 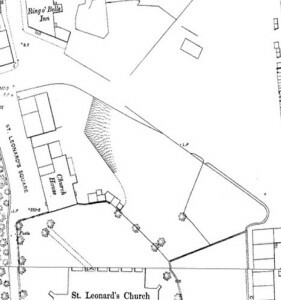 The field was known as the Church Croft up until the late 1890’s and was part of the Parish Glebe, primarily in use as farm land. It was passed to Middleton Council by the church in 1898 on the condition it was kept as an open space. The last building on site was Church House Farm. 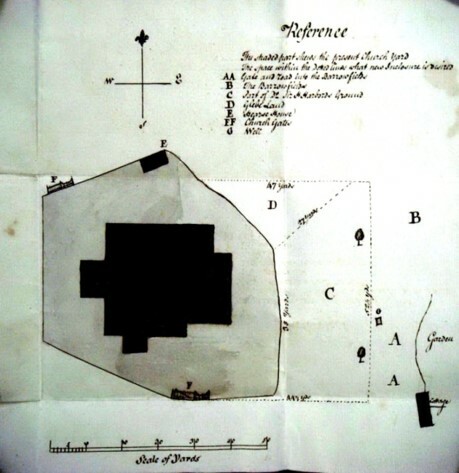 Historic maps and newspaper cuttings have identified associated outbuildings, stables and a Shippon (Cow Barn) We believe the Church House was built on the foundations of an earlier timber framed building known as the Church Alehouse or Grapes Inn. 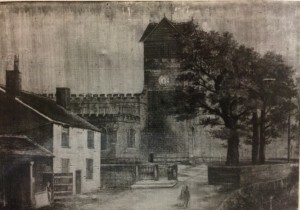 The photograph to the left of the Church House dated circa 1888 is held in Middleton Library and has a written description; “..the choristers robed at the farm and walked in procession to the church. A long time ago the place was both a farmhouse and a public-house. 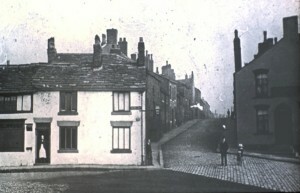 The out-building on the left was the “Yest-house” or hearse-house. Part of the building was used by a mason for dressing and lettering gravestones” The picture to the right is a painting of the left photograph. This together with the cover picture was probably painted by a Mr Hulton in the early 20th Century. Newspaper reports show the Church House was still in use as a farm in the 1880’s and 1890’s. However all the buildings were demolished in 1896 and the church retaining wall re-built in 1899. The field had become a public park by 1909 and was planted with trees, pathways and flower beds. 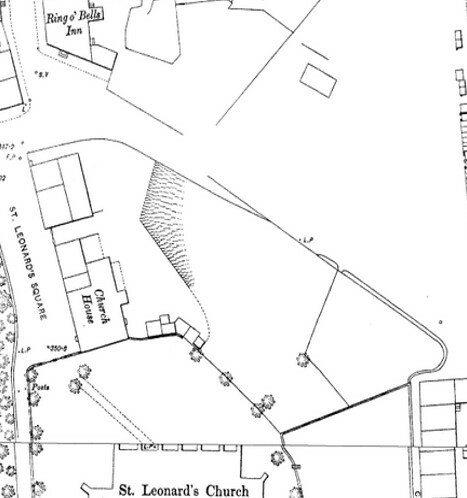 These were later cleared, St Leonard’s car park extended over part of the demolished buildings, and the field was laid out as a recreation field. There is no record of either Nevison or Turpin frequenting Middleton Alehouses, also they were both hanged (1684 and 1739) well before Sam had his first pint. 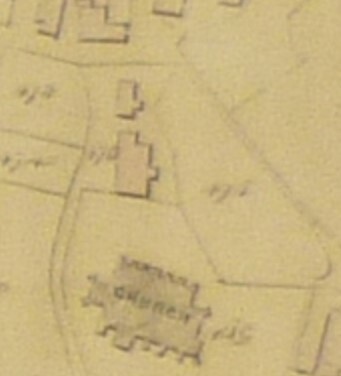 Bamford’s description of the Church Alehouse suggest a thatched roofed, timber framed building rather than the stone roofed farm-house seen in the 1888 Church House photograph. There is no specific mention of a Church Alehouse in the Middleton Glebe reports of 1663 and 1728 suggesting that the Grapes was either a farm or dwelling house at that time or perhaps had not been built. 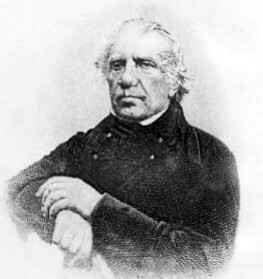 Records show that Joseph Wellins was the licensee of the Grapes alehouse in 1748 and was succeeded by his son who managed it until 1792. 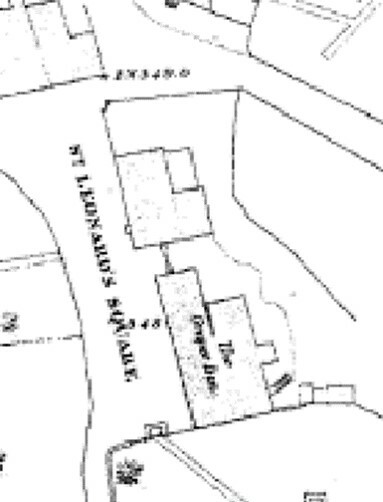 The Grapes was also known as the Church Gate or Church “Fowt” and was licensed as a public house until 1847. A new Grapes Inn was licensed in Old Hall Street Middleton during the 1850’s. 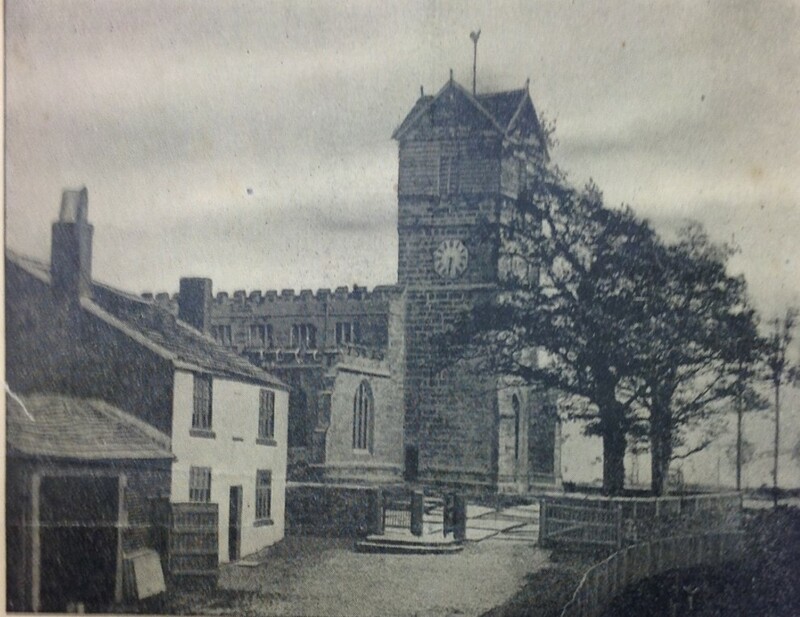 At this time, we do not know when the alehouse was built or indeed when it was demolished or refurbished to make way for Church House Farm. The following suggest a possible early usage of the Church House although we have no evidence of such, at present. The church house was the medieval equivalent of the church hall. 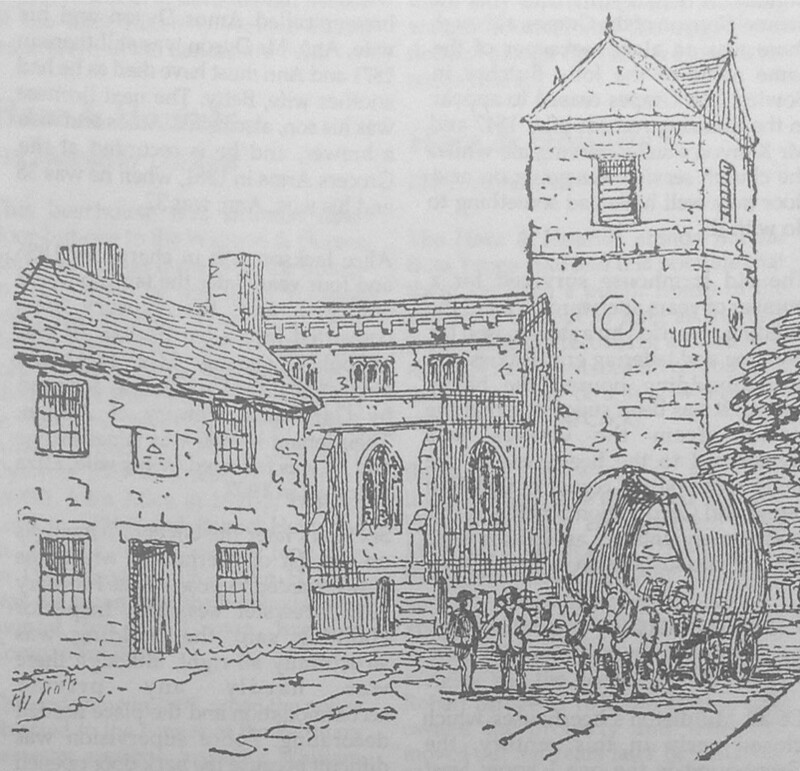 Its chief purpose was to house the festivals and church ales which raised funds for many an English parish church until the rise of Puritanism. 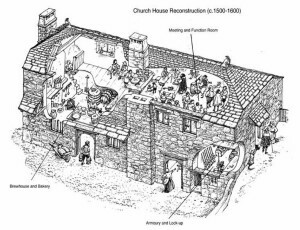 A parish was not required to have a church house. The nave of the church itself could function as a secular meeting-place for medieval parishioners, as well as a religious one. Or a nave aisle could be used by a parish guild. However as the open space in churches was filled with pews in the late Medieval period, it could no longer act as a parish hall. By the 15th century a fair number of parishes had bought or built a church house, or had one donated. A common location is by the churchyard. Church ales were revels which could include sports, plays and Morris dancing, encouraged by a brew of strong ale, made on the premises. For the Puritans such merry-making was unseemly. Under Oliver Cromwell it was banned. (There had been earlier attempts to suppress church ales in the reign of Edward, but they appeared again under Mary.) Redundant church houses could be converted to other uses to benefit the parish, for example a school or an almshouse. Or it might be rented to a former housekeeper, who continued to brew and sell ale, turning the building into an ordinary alehouse. “Church Ales“ Of the Church-ale, often called the Whitsun-ale, being generally held at Whitsuntide. ….after the feasters had eaten and drunk to contentment, if not to excess, they took part in sport on the turf of the churchyard, or on the sward of the village green. The athletes of the parish distinguished themselves in wrestling, boxing, quoit throwing; the children cheered the mummers and the Morris dancers; and round a maypole decorated with ribbons. When they had wearied themselves by exercise, the revellers returned to the replenished board; and not seldom the feast, designed to begin and end in a day, was protracted into a demoralising debauch of a week’s or even a month’s duration. 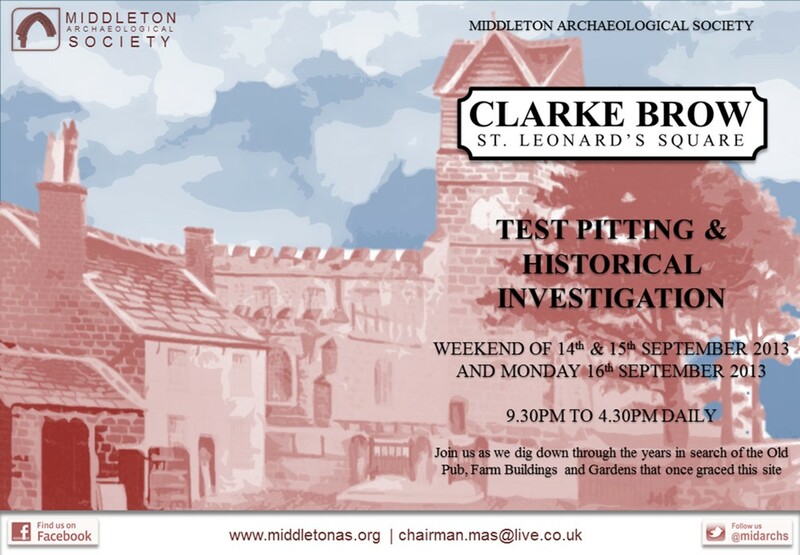 Middleton Archaeological Society carried out its first investigation of Clarke Brow in August and September 2013. Geoff Wellens provided a series of photographs and details of a previous excavation in 1999. 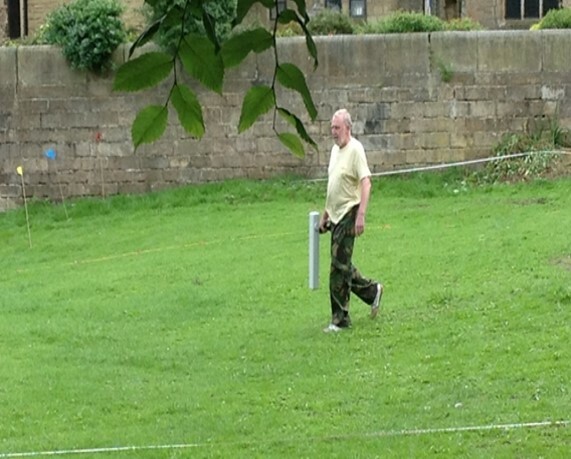 Partial funding was secured from the Edgar Wood & Middleton Townscape initiative (RMBC and the Heritage Lottery Fund). 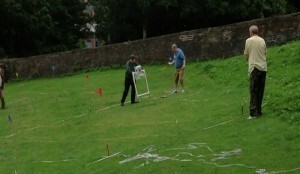 A Geophysical survey was carried out on the field to identify areas to investigate by test pitting. A test pitting event was held over 3 days in September with over 50 people attending including members of the Bury and Tameside societies. 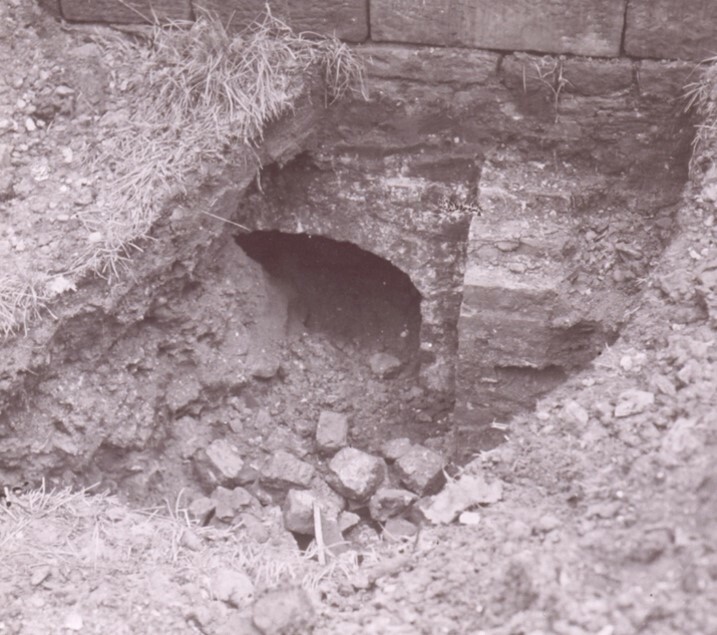 In the 1930’s, excavation for a water main to the church unearthed an arch under the North wall. 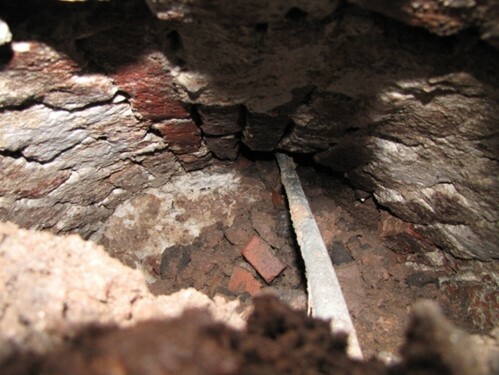 In 1999, amateur archaeologists unearthed a wall of hand-made bricks on a stone foundation. This appeared to be the back wall of the old Church House. 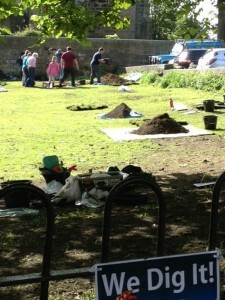 Sadly, the dig was not recorded and no finds exist. Geophysical analysis of the field with experts from Tameside Archaeological Group in August 2013. Test pits later confirmed that some of the anomalies were consistent with 19th Century usage as a park. 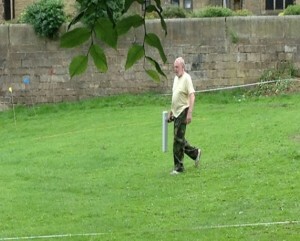 We also identified a drain running across the field. 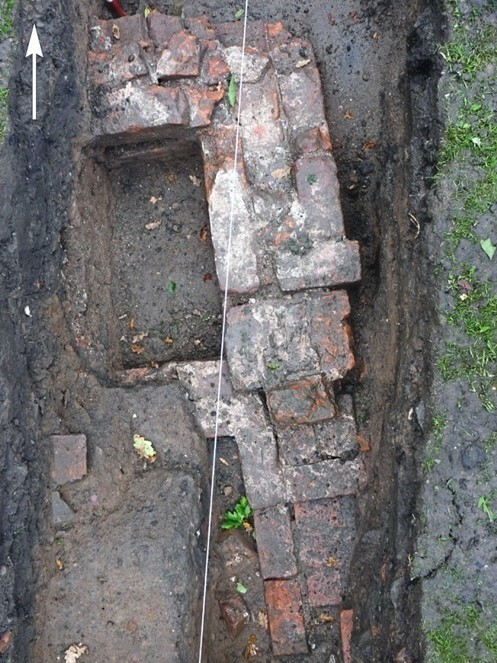 Trench 1 revealed a 2.3 m section of wall with a thickness of 1.5 bricks (about 43 cm) aligned with the east wall of both the Grapes Inn (1851 Town Plan) and Church House (1891 Town plan) At its northern end it returns westward for 0.7 m into the trench section. There is also evidence of an opening towards the southern end of this wall which had subsequently been blocked at its northern end possibly to support an internal wall at this point. 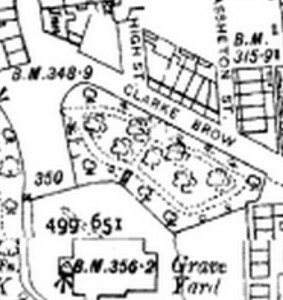 The supposed entrance aligns with a porch evident on the 1891 map and a flight of steps on the 1851 map. 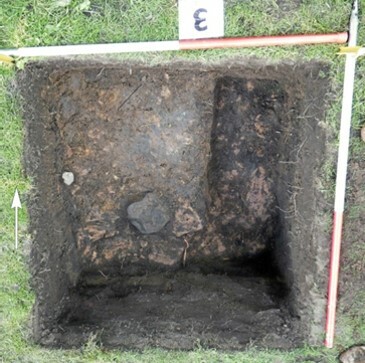 Test Pit 2 adjacent to the church yard wall exposed the south east corner of the wall identified in Trench 1 and a brick buttress. 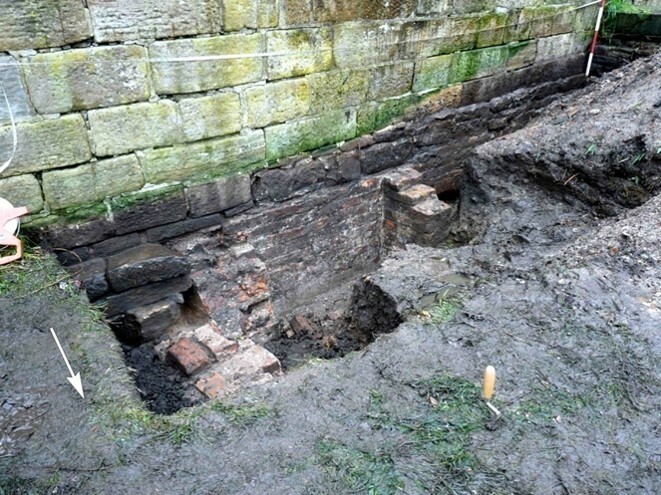 The South wall appearing in Trench 9 lies directly beneath the church yard wall (which was constructed in the 1890’S) The entire length of the wall was exposed as far as the boundary wall of St Leonard’s Square. Two further buttresses were discovered. 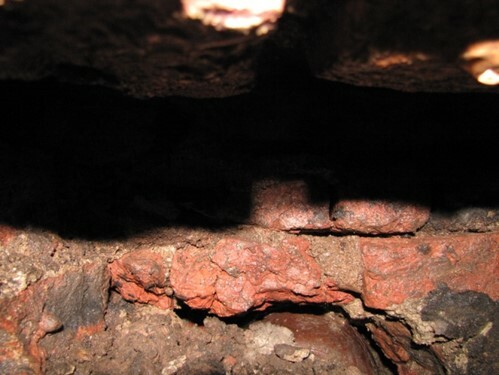 Adjacent to buttress 2 on its west side, the top of an arch was found and immediately to the west of the arch a small opening of about 40 cm width. 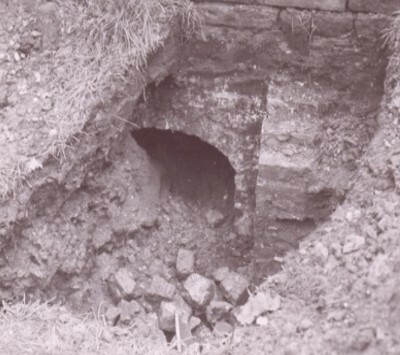 The Arch exposed in Trench 9 extended about 1 m south under the church wall and contained a lead water main, probably installed at the time of the 1930’s photograph. The far end of the arch has been partially filled with machine made brick and cement mortar. Approx. 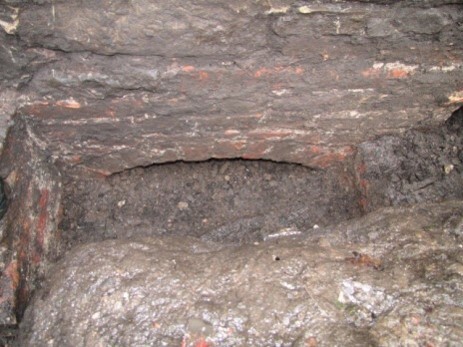 50 cm to the west of the Arch, a modern clay drain passes through the wall. It is likely that this was installed during the 1950s extension of the church. 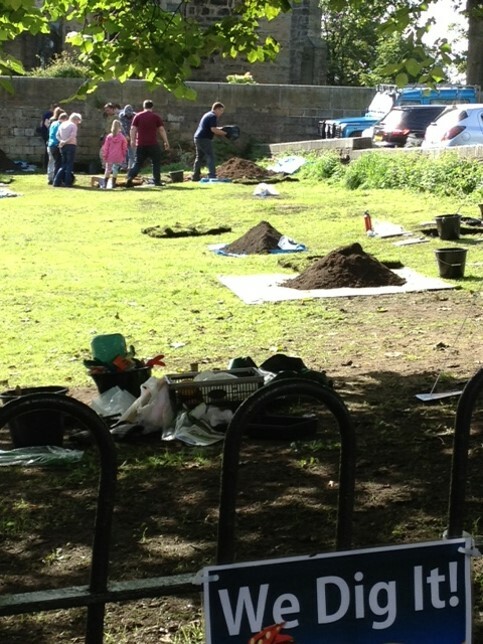 Poor weather and lack off time prevented further excavation and recording of this area. 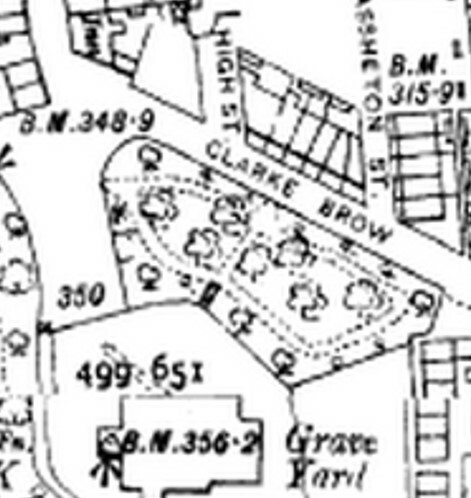 Test Pit 5 was located in an area thought to be a yard associated with the Hearse House attached to the Church House. 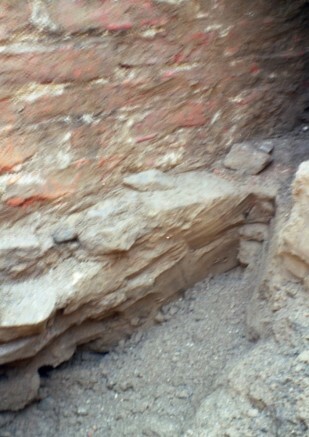 Excavation revealed a thin layer of demolition rubble. 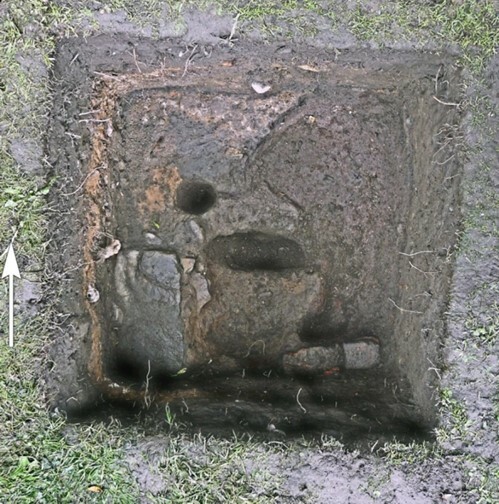 Beneath this in the south-west corner, a small selection of paving stone bedded onto a layer of clay mixed with stone may represent the remains of a yard or floor surface. 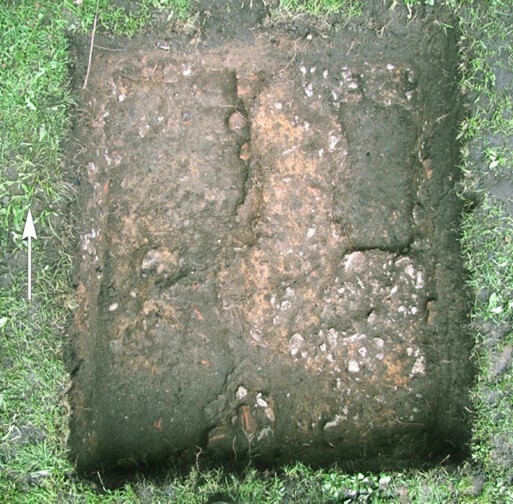 Excavation of Test Pit 6 exposed a compacted layer of clay and stone. The area exposed was insufficient to make an interpretation. 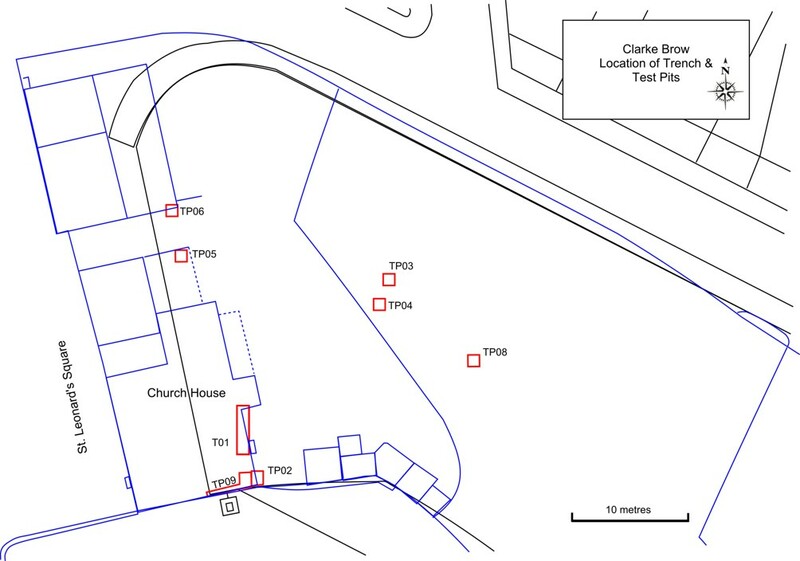 Three test pits (3,4 & 8) were excavated towards the centre of the site to evaluate the geophysical responses in this area. 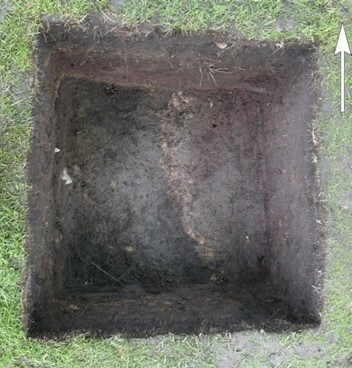 All three test pits had similar characteristics with deep deposits of humus and thin lenses of clay and humus. Test Pit 3 produced a small section of flimsy wall approx. 0.5 by 0.2 M probably representing a garden feature. Test Pit 4 contained a layer of coal ash and a small pit filled with humus and modern glass shards. 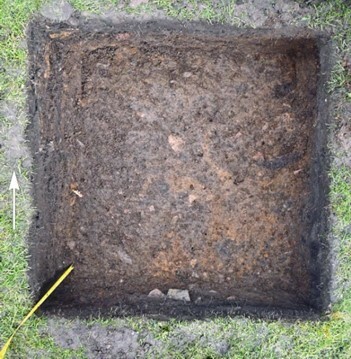 The test pits in this area represent only a very small sample of the site and although they did not reveal any substantial archaeological remains it is possible that we may be more successful in other areas. Fig 1. 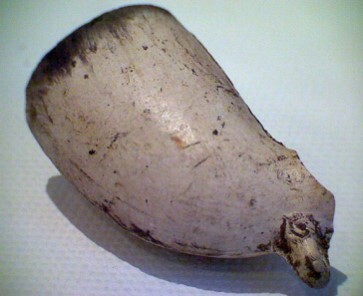 Is a 1640-1680 pipe bowl found in a high layer of ground near the church wall. It was probably disturbed at the last dig in the 1990’s. 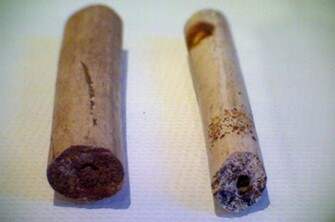 At the time of use, tobacco was expensive so pipes were small. This hand made one has a short, bulbous shape and small ‘spur’, used to rest the long stemmed pipe on and the rim has an oblique angle. There’s a maker’s initials ‘JB’, possibly John Bower, a well-known maker of this period. Fig 2. An 1680-1700 bowl found at the same level as the previous find. 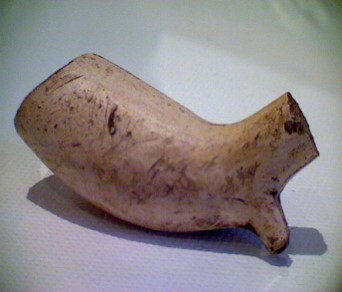 This later 17th century pipe bowl has a longer, less bulbous shape. Fig 3. 100 years on from Raleigh, tobacco was cheaper so pipe bowls got bigger. These have longer thin-walled bowls and longer spurs projecting downwards. 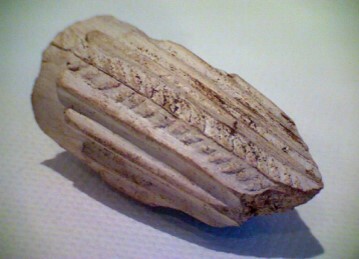 This 1700-1720 example was also found in Test Pit 1 together with other similar fragments. Fig 4. 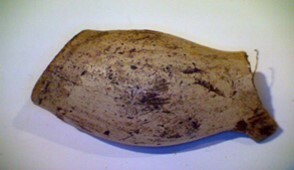 Is dated about 1840-70 Leaf patterns on the seam were popular in the mid 19th century. 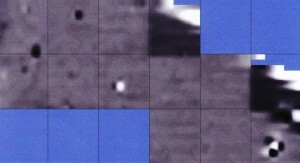 Examples were found in Test Pits 4 and 1. 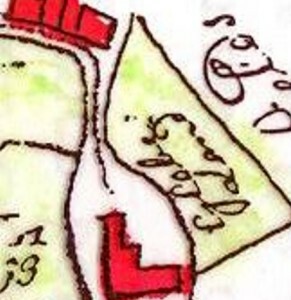 On my husbands maternal grandmothers wedding certificate she gives her address as 9 Church Croft Middleton. I cannot find any evidence pictorial or otherwise of this address can you help. My husband remembers people referring to Church croft as some sort of charitable place (you will end up in Church Croft) bu it is all very vaque.